As a painter, the instinct to translate and interpret the language of nature comes naturally to you. It just cannot happen that you never have that urgent desire to paint things that you come to encounter in real life. And natural phenomena have always struck artists as inspiration. Remember the daffodils? And who can forget Van Gogh’s The Starry Night? There are myriad examples where nature has served as a stirring force to the dormant artistic proclivities of geniuses. The breath-taking beauty of a sunset, like all other natural phenomena, has been the subject of many famous artworks and there are many famous sunset paintings by famous artists. And that is why this article tries to bring to you some tips for sunset painting. When just getting started with painting, you might want to try bringing the scenic stunner of a sunset on your canvas. And while you can play all you want with colors, it is really important that you familiarize yourself with sunset painting techniques first. To bring something out in reality just from the slits of your imagination takes a lot of work. You can’t just expect to create a masterpiece if you are not acquainted (speaking of the least) or madly in love with the tiniest nuances that encompass a natural happening. And to achieve that level of indulgence, it is important that you observe. Observation lets you read and take in the context of the subject. So before you start painting, go out and see a sunset for real. Observe the patterns of colors that play out in the sky at the time. Take note of all the shades, gradients, and formations in the sky at the time and make these observations stick to your mind for later. The total duration of a sunset is just not enough for all the observation. And thank technology that it does not need to be either. If you are not sure about your memory retaining each piece of the information that you are taking in, just pull out your camera phone and click a few snapshots from the moment. When the spectacle is over, you can just go home and study the pictures at your own good time. 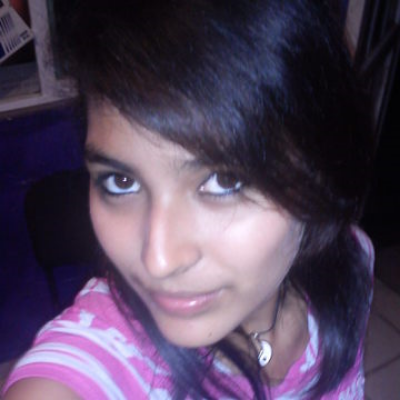 These pictures can also be used as a reference when you want to use one at the time of painting. Many painters actually follow this sunset painting technique to maximize their memory and vision of the scene. You should definitely try this out as a newbie, because a reference within your site is always a good thing. Now that you have a reference ready, it’s time to start with the real work. The first step in this direction would be to choose the right colors for painting a sunset. Shades of Red, Crimson, Magenta, Yellow, and Orange are the colors that usually go into painting a sunset picture. But you also need some blues and violets. The choice of color depends a lot on the phase of the sunset that you are going to paint. If the painting is to portray initial stages of the sunset, you should do more with lighter shades of blue and more yellow and orange. If the aim of the painting is to portray the later stages of sunset, that is more towards twilight, you will be using more of Blues, Violets, and Crimson. Also, you need to be very careful while choosing the shades of these colors during painting. A shade darker and the whole of your work could be ruined and a lighter shade can really kill the essence of your artwork. So choose your shades wisely and then go ahead with your painting only once you are completely sure of them. Choosing the right colors is important but that is where things get started. It is crucial to put them right in the painting. One way of doing it is to properly mimic the reference to create the same effects as the real picture. If there are cloud formations in the sky, you might want to use a round brush to mottle the clouds. Also, you would need to learn to use brighter colors where you are showing the source of light and gradually depreciate the intensity as the strokes move away from the source of light. That is cooler colors should be used away from the source of light. This can be done through proper blending and gradient mixing. Also, the clouds if any should be highlighted farthest from the light source. The size and shape of the brush you use, play a vital role in bringing the best strokes off to your canvas. So take those parameters into account, too. After you are sure that you have checked everything once, you can start painting and then follow your intuition and instincts. So that is pretty much all that is there to know about sunset painting techniques. You can follow famous sunset paintings by famous artists on the e-stores like ShowFlipper that sell painting online to find out more about sunset painting. Sites like ShowFlipper also feature art galleries where you can interact and learn directly from artists. 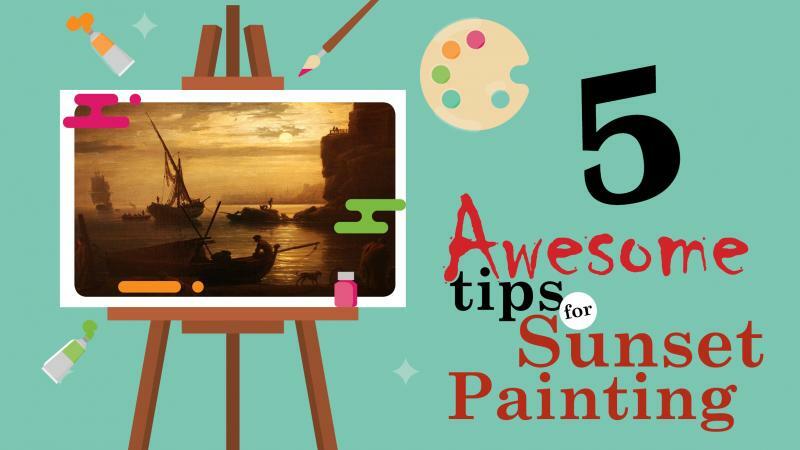 We hope that you can now start exploring the world of sunset paintings with all this knowledge. Do not freak out if you don’t get the picture right on the first attempt. Things will fall into place with practice. So go ahead and paint some sunsets because no two sunsets are ever alike.